reading the same book repeatedly. I was reminded of the books I have read daily or year after year. the ever-changing landscape of life. a foundation of strength to keep standing. 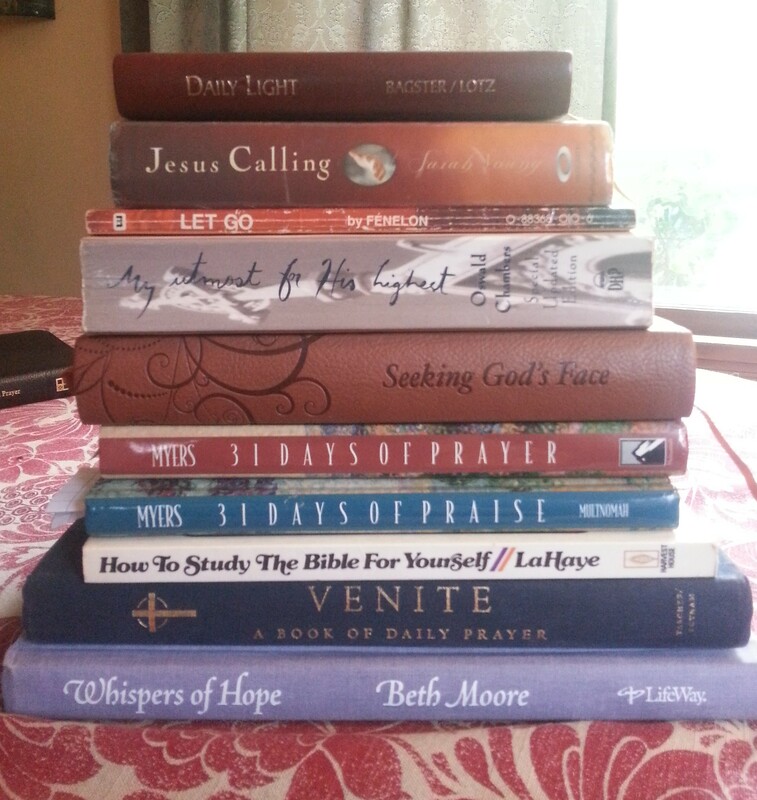 my Bibles, these have been my truest guides. Daily Light: A common thread of scriptures for the morning and the evening. 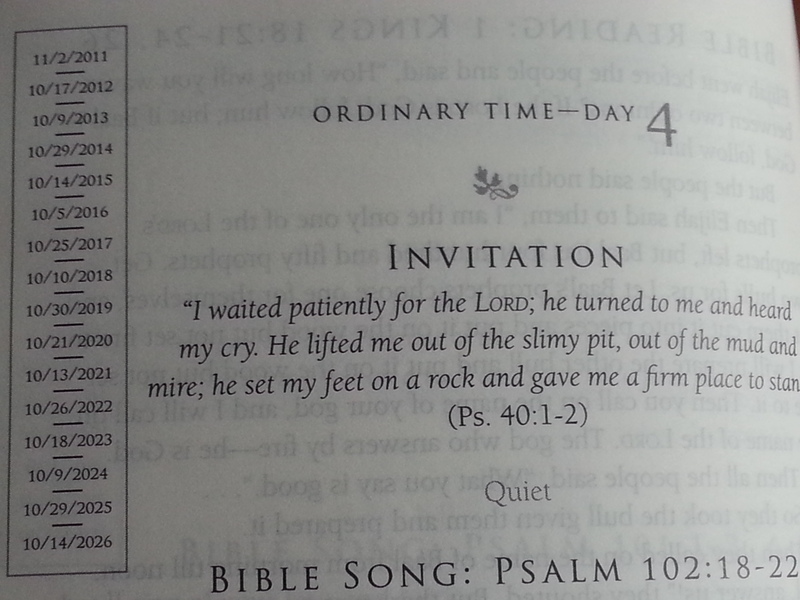 One of two devotional I have given the most to loved ones. always seemed to express what I needed to read. (If you are curious to know my #3 gift, it would be Blessing for the Evening. tender. It has this beautiful sunset on the cover but don’t be fooled. need a little shaking. It’s all about surrender. a copy of the original version and I couldn’t understand it. room doctors tee hee. Here’s a picture. See the box? For the next 12 years (heh) I will know my place! That’s a very good thing. and again to be reminded of the many ways to study the Word of God. grateful for this fact. I also know that I love tradition. book helped me rediscover parts of my church upbringing I had abandoned. stopping to pray throughout my day and night changed my life. It changed my heart and drenched me with peace and hope. when I began to pray the hours. said by countless seekers over centuries. something until I started praying the hours. to pause, I am remade breath by breath. updated and recently re-released it. and spaces to write out prayers. needs still not resolved, I can’t ignore the reality of seeing His hand. I know that He has drawn me closer to Himself. I have changed in the midst of each hardship. It is more than hindsight allowing me to see more clearly. the aching years that would follow. that more hardship would come and He would remain. What books bring you comfort?